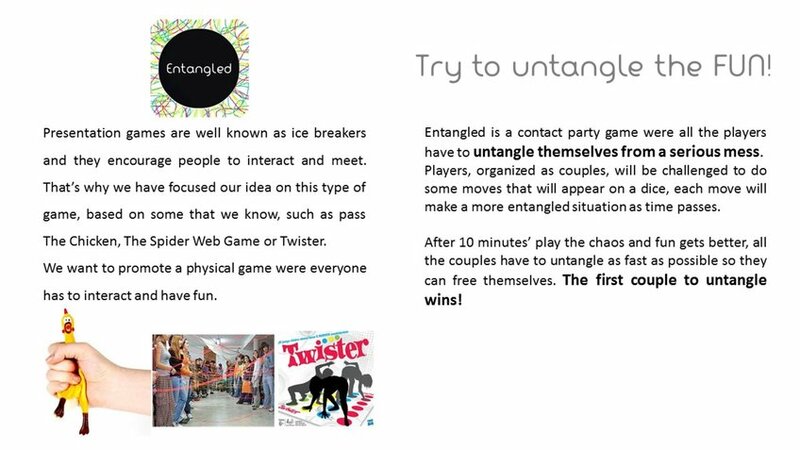 Entangled is a contact party game were all the players have to untangle themselves from a serious mess. 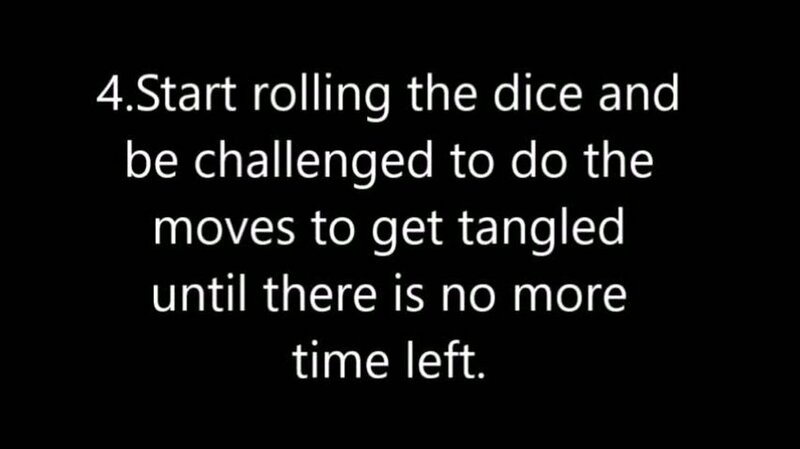 Players, organised as couples, will be challenged to do some moves that will appear on a dice, each move will make a more entangled situation as time passes. 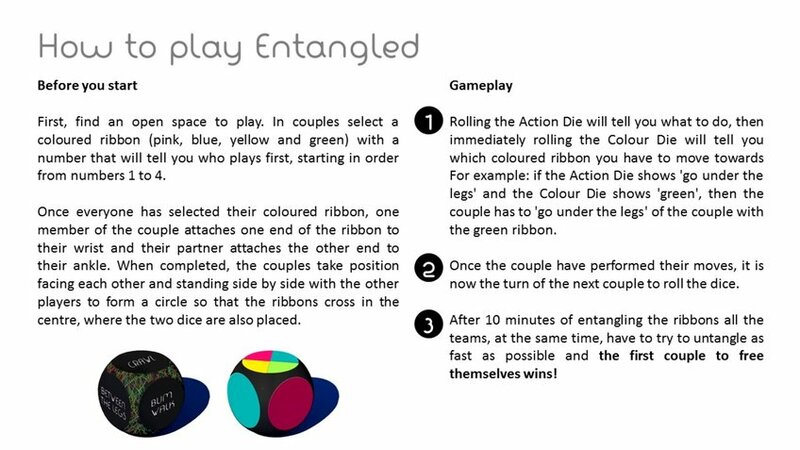 After 10 minutes of play the chaos and fun gets better, all the couples have to untangle as fast as possible so they can free themselves. The first couple to untangle wins!